crepes! 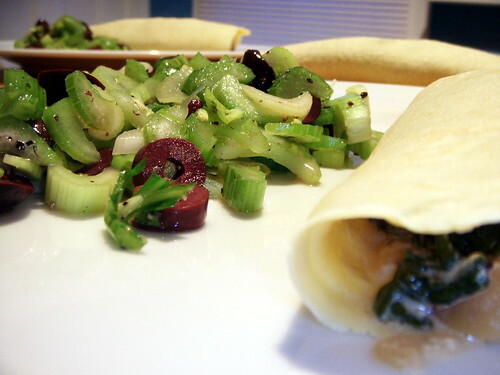 : spinach and gorgonzola crepe with olive and celery salad, originally uploaded by aarn! +14th August, 2008+. dad's olive and celery salad is chopped celery (and celery greens) and kalamata olives, seasoned with red wine vinegar, salt and pepper, and olive oil. stuck in the refrigerator for a few minutes to chill.